Meningococcal disease describes infections caused by Neisseria meningitidis (also termed meningococcus). It carries a high mortality rate if untreated. Whilst best known as a cause of meningitis, wide spread blood infection (sepsis) is more damaging and dangerous. 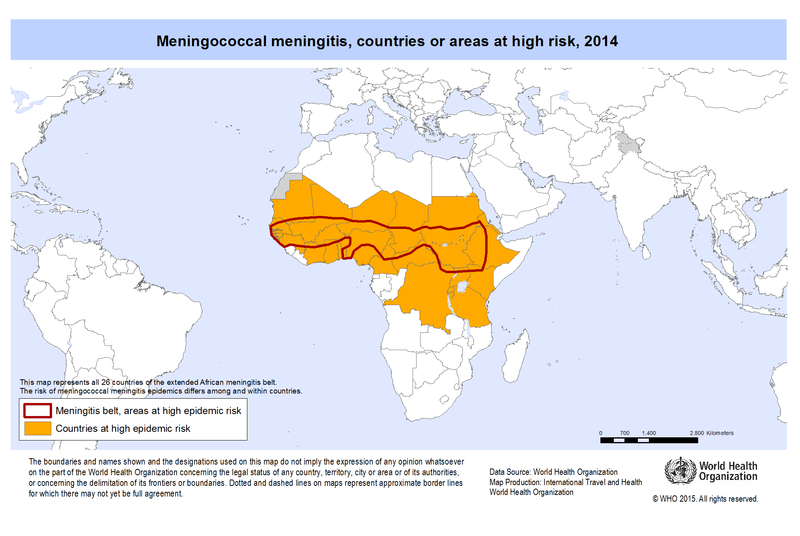 Meningitis and Meningococcal septicemia are major causes of illness, death and disability in both developed and under developed countries worldwide. The diseases host/pathogen interaction is not fully understood. The pathogen originates harmlessly in a large number of the general population, but thereafter can invade the blood stream and the brain, causing serious illness. Over the past few years, experts have made an intensive effort to understand specific aspects of meningococcal biology and host interactions, however the development of improved treatments and effective vaccines will depend on novel efforts by workers in many different fields. The incidence of endemic meningococcal disease during the last 13 years ranges from 1 to 5 per 100,000 in developed world, and from 10-25 per 100,000 in developing countries. During epidemics the incidence of meningococcal disease approaches 1000 per 1,000,000. There are approximately 2,600 cases of bacterial meningitis per year in the United States, and on average 333,000 cases in developing countries. The case fatality rate ranges between 10 and 20%. While Meningococcal disease is not as contagious as the common cold (which is spread through casual contact), it can be transmitted through saliva and occasionally through close, prolonged general contact with an infected person.